What’s New At Your Murray Dentist Office? Hello, friends of Salt Lake Dental Care – Clint Blackwood DDS. Today we’re talking about the modern dental office in Utah. Dentistry is a field of continual innovation. There are always new and improved ways to help Salt Lake City residents have the healthiest and most beautiful smiles possible. Many dental offices in the Sandy, Taylorsville, and Draper areas have found that switching to digital X-rays makes for more effective treatments. 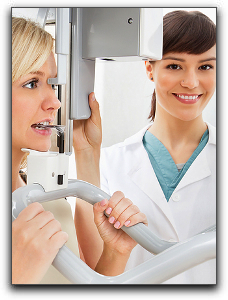 Also, the dental images can more easily be stored in a patient’s computer file and compared with past images to track progress. Diode lasers are innovative instruments that allow your Murray dentist to detect bacteria levels in your mouth as well as find and treat tooth decay. For patients interested in cosmetic or restorative dentistry, CAD (computer-assisted design) technology can allow procedures that involve porcelain crowns and dental bridges to be done in fewer appointments. If you are considering a full smile makeover with dental veneers, the newer and thinner prepless veneers are just as strong and beautiful with more of the original tooth left intact. Don’t wait to improve your smile. Call 801-938-8855 today to schedule an appointment or consultation with our office! We look forward to hearing from you.